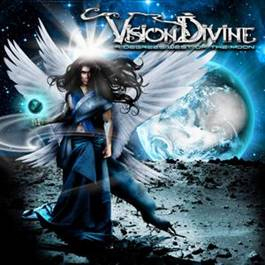 Vision Divine‘s 2009 album was my first exposure to the band, not to the style though, since they have that usual power metal feel, still adding their own soul into the songs. I tend to listen to albums without shuffling songs, so I may notice the flow of energy which was carefully chosen by the band. Anyways, I just loved the album! The first song of the album “Letter To My Child Never Born” is very catchy, and it’s one of those classic songs with their powerful chorus and tight composition! 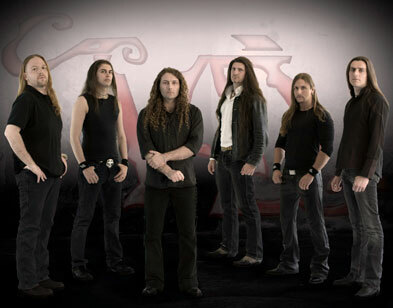 The vocals (Fabio Lione) are just passionate and very much alive. The guitar solo is amazing, as well as the 2 keyboard solos… the band is surely amongst my favorites in the genre at the moment, along with Artension (a bit more progressive). The band adds some female voicing in their songs, along with decent keyboard filling and backup vocals. “Violet Loneliness” is a good song as well, not special though, although the vocals are enough in the song, but still I thought it was quite the typical power metal song. “Fading Shadow” is just lovely! Again the vocals kept me listening since they are so passionate, the chorus is also a classic one. The solos at the end are just… damn crazy! I love the feelings put into those… I’ll surely cheer for some Vision Divine instrumentals; they would show us some real progressive metal! “Angels In Disguise” is melodic from the moment it starts , its quite epic , probably has the most epic chorus , actually the vocals on this one are damn soul-moving:“Come with me, on the wings of hope and now take my handsOne more time, one more night, don’t lose your faith, I’m here with you ” > my favorite part of the album, again kudos for the vocalist. “The Streets of Laudomia” is a great song, very upbeat, still with an evil sense to it, lovely work by the drummer and an amazing solo yet again by the guitarist! Carefully chosen somewhere around the album’s middle part. “Fly” is another ‘normal’ song of the album, it’s probably the only song on the album I didn’t like and fell asleep during it. “Out in Open Space” has a heavy metal feel to it, it’s catchy and again guitars prevail in this one! “9° West Of The Moon” is the last song of the album, kind of weird though , I liked this one , its transcendent and I loved the weird keyboard effects which made me feel somewhere west of the moon. “Touch of Evil” is a Judas Priest Cover and it’s a great one, very well executed, capturing the mood and energy of the original song.